Credit Card Cos: Who’s Doing What in Mobile Payments? Visa (s v) is making a strategic investment in mobile payment provider Square, providing the start-up with an undisclosed sum of money as well as a new advisory board member. It’s a nice boost for Square, which is on a roll as it tries to ramp up payments via a smartphone. But it also highlights the growing role of credit card companies as they try to prepare for the growing mobile payments boom. Mastercard — Mastercard has been an early believer in near field communication and has been working on contactless payments all the way back to 2002 with its PayPass system. It now has 88 million PayPass cards and devices in use at 276,000 merchant locations. And it’s rolling out worldwide deployments of near field communication, a short-range wireless technology that is being used for contactless payments. Mastercard is also working with Gemalto, which will include Mastercard’s PayPass authentication and credentials in Gemalto’s SIM cards. When paired with an NFC-enabled phone, it will mean easier use of PayPass NFC transactions. Mastercard is also reportedly teaming with Google (s goog) on an application that will allow payments through NFC-enabled Android devices. This would allow Android devices to become mobile wallets that could also provide consumers with offers and discounts from retailers when they made a transaction. Mastercard is also looking at embedding NFC credentials on microSD cards, which banks such as Bank of America (s bac) and others are trialing. Visa — Visa is also working on the NFC front and is working as well on microSD solutions with banks. Visa also announced it was teaming with Samsung to bring NFC payments to the Olympics in London next year. The company is also looking to take on Paypal (s ebay) with its own personal payments system that builds off its VisaNet global payments network. The move takes Visa beyond its traditional strength of point of sales and into the world of electronic payments. With the investment in Square, Visa is also showing that it’s looking to tap mobile card readers to help grow the number of merchants who can tap into its global payment network. This is more than just a symbolic move. It validates the work of Square and rivals Intuit (s intu) and VeriFone (s pay) and it also puts Visa in a position to acquire Square or at the very least, learn a lot about this business. Visa is also getting into virtual goods monetization with its acquisition of Playspan in February, which offers a payment platform for developers looking to sell virtual goods. Visa is showing a lot of diversity, trying to be in a number of places as new payment opportunities arise. American Express — AmEx recently threw its hat into the personal payments ring with Serve, a new payment network that allows people to pay each other online, through mobile phones and through American Express’ merchant locations. Funds can be added to Serve accounts from a variety of sources including debit cards, bank accounts and credits cards including American Express rivals. Users can manage their accounts and make payments through a smartphone app or using a prepaid card linked to Serve, which is good at all American Express locations. Serve also plans on delivering marketing offers to users, which could be a lucrative business for payment processors. Serve pits AmEx against PayPal but it also positions the company better in the broader mobile payments market. The platform is meant to evolve over time and will eventually incorporate NFC payments. In the meantime, American Express also announced it is partnering with mobile payment start-up Payfone, which is poised to unveil a payment processing system that allows customers to pay using their mobile phone number. The alliance helps Serve provide more payment options like carrier billing, which is another major piece of the mobile payments realm. American Express has been more quiet on the mobile payments front but it’s showing that its eager to catch up. As I said earlier, the credit card companies know they need to get active in mobile payments or risk being bypassed. But as we’ve noted before, mobile payments is a broad category that means a lot of things from NFC and carrier billing to more personal payment networks and solutions like Starbucks’ (s sbux) mobile card app. The card companies already have an enviable relationship with consumers that they are now leveraging as they move in this direction. But the key for these companies is to ensure they’re represented in all of these new and sometimes competing payment options as they emerge. 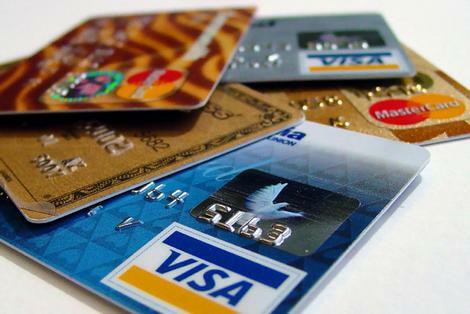 It’s still early but the increased movement by the big credit card companies show they don’t want to be caught flatfooted when these things take off. I’m the CEO of Movylo Shop (www.movyloshop.com), SaaS mobile commerce solution. We see merchants creating their mobile stores very easily, but very few of them have clear ideas on how to market it, how to attract users to the mobile stores, how to make money out of mobile. NFC will definetely be a strong theme, but not in the short term. Visa had a lot of options to consider beyond square. It’s one thing to do transactions over a secure landline. Once that is not a factor, then the credit companies are no longer in the driver seat. Funny enough, it is the wireless companies that may have the ultimate power in this struggle, since guaranteeing the legitimacy of a transaction and the device that initiates it (your national ID card, ummâ€¦ I mean cell phone) will be the primary problem. Thanks for the comment. The carriers have a big role to play in mobile payments, i agree. It’s a new opportunity to be relevant to users and make some money.